Whether you need a virus removed from your laptop or an entire home networking installation, we are your solution. We provide free in-home consultations to help you decide what will work best for your home and lifestyle. You don't run an IT company, so why should any of your valuable time be spent managing your workstations and networks. Let us partner with you so you can grown your business while we worry about the backend. What is the 'cloud' and is it right for your business? There are many different services and products that can be moved to the cloud. 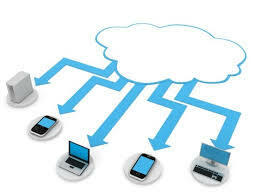 We help you decide whether utilizing cloud computing is cost and time effective for your business.